B. Thomas (Arlington, Texas, United States) on 19 April 2016 in Animal & Insect. In the Spirit of Silly Tuesday…. 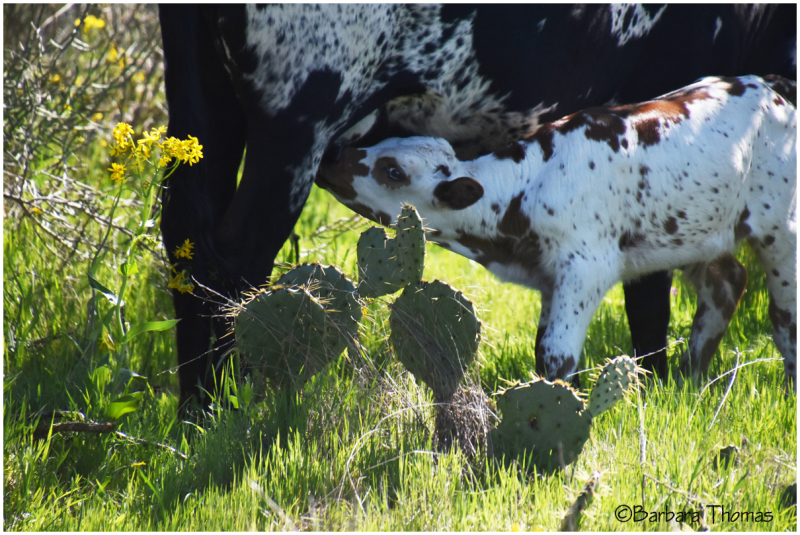 Dinner time for baby longhorn, but keep an eye on that cactus! What a cute little character. Great candid shot that you've captured here with beautiful light and colors!! The sunlight highlights the cactus' spines nicely here. L O V E L Y !!!!!!!! They learn very quickly to stay away from things that hurt them. I am a bit surprised that the cactus are let to grow like that. Entre les cactus quelle vue quelle fêtée de ce petit veau superbe.